Electronic Heroin. Where virtual world addiction becomes a real illness. The most accessible drug to Aussie kids and the one thing you must know about it. Have you ever imagined that your primary aged child could be exposed to ICE? (Methamphetamine). I want to tell you about something just as dangerous found in your own home…Electronic Heroin. An increasing number of Australian children are being exposed to an easily accessible drug right now. In your home, under your watch, online virtual gaming, the latest addiction that is free to access from any device. Did you know that although no one in Australia has died from Internet gaming addiction. Around the world, in particular China has recorded deaths. 98%* of Australian homes with children under the age of 18 have a device for playing computer games. Most gamers play between an hour and two hours at a time in Australia.However young men in China, play for hours on end. Missing school, rarely eating, sleeping or using the toilet. They are so involved in their virtual world that reality becomes white noise and nothing is more important than getting that next ‘hit’, getting to the next level, collecting those coins, jumping that canyon and killing the fire breathing dragon! Australia! Lets not go down this path. Head designer Naomi Sipus at School Pride is a mother of 3 and understands the dangers of growing up in the digital age. “It is vital for me to protect them,” she says. “Too often we as parents are caught up in what we are doing, to really take notice that our kids are becoming addicted to playing games online. After all it does give us a little break to do something without interruption, doesn’t it?”. “Adults are also guilty of using this electronic Heroin, not only Internet surfing and gaming, but Facebook, emails and other forms of social media”. So what’s the answer? How can we avoid an addiction to an every day exposure? As a family make time for activities that don’t involve technology. This includes turning your own device off. Talk with your child about winning and loosing. 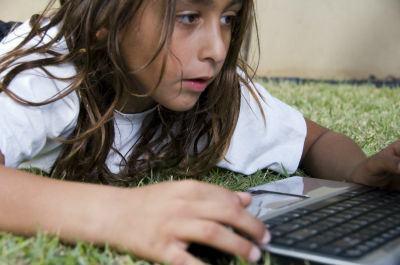 Sometimes children feel validated by being a ‘winner’ or coming first when they play online games. This is a perfect opportunity to discuss winning, loosing, being a good sport and learning balance…when enough is enough. If you are concerned about changes in your Childs behavior in regards to electronic devices, it might be time to consult a professional. Make an appointment with your GP. Online addiction is becoming a real illness and it has a real name…Internet Addiction Disorder (IAD). *About digital Australia 2014. National research prepared by Bond University for the Interactive Games and Entertainment Association.